Though the walls of my living room are lined with craft beer bottles and I’ve taken to writing on the subject, I couldn’t pinpoint when, exactly, the interest started. If I were to trace it back to the first Sierra Nevada, I’d find my good friend of 10 years, Mark, by my side. Together we explored a range of craft beers and watched companies, like Brewdog, emerge and grow (we still regret not buying into the shares in the first round). However, as our tastes in beer changed so did our lives and, for the past few years, Mark has been living in New Zealand. Diligently acting as my southern hemisphere beer correspondent while I keep him up-to-date with the craft beer scene back home, Mark decide one day to share an article with me over Facebook, ‘Ultimate brewery tour across the state according to science’. The discussion that followed turned into talk of modelling our reunion upon a similar tour of craft brews throughout the States, especially California craft beers. Thus follows the West Coast Brews Crews – a trip that carried us northwards from San Diego to Vancouver, drinking in all of the craft beer, culture and sunlight as possible. Our first impressions of San Diego, and California for that matter, were set by the two seals we watched playing in the harbour under the sun, followed by the Amnesty International Volunteer who pointed us in the direction of the Gaslight quarter for good food and drinks. We entered a fusion of modern style and rustic, wood interior inside the Union Tap and Kitchen, where the floor to ceiling doors opened up onto a sun-soaked patio. 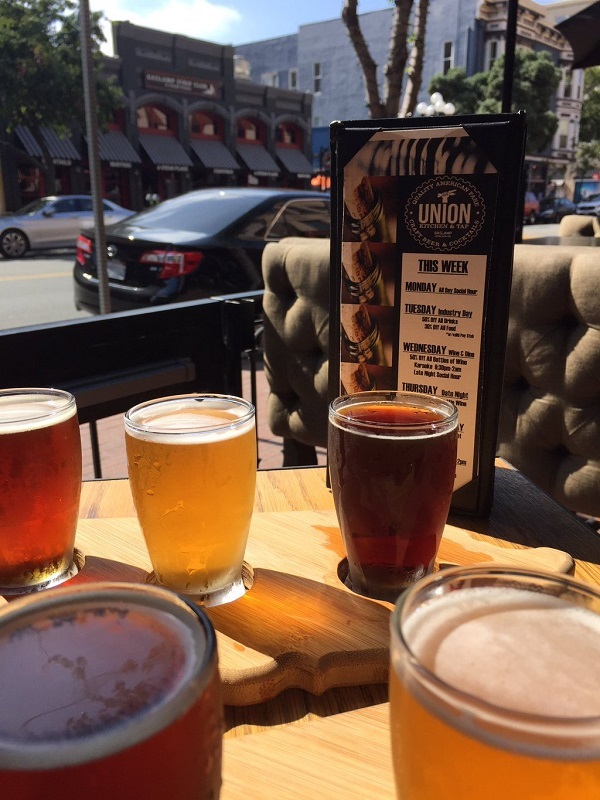 We order two tasting trays: one a flight of local beers and the other of North American crafts. Paired with a flat-bread with ricotta, figs poached in red wine, caramelised onions and micro thyme, we comfortably spend the next hour people-watching and comparing the great selection of ales, lagers and stouts. 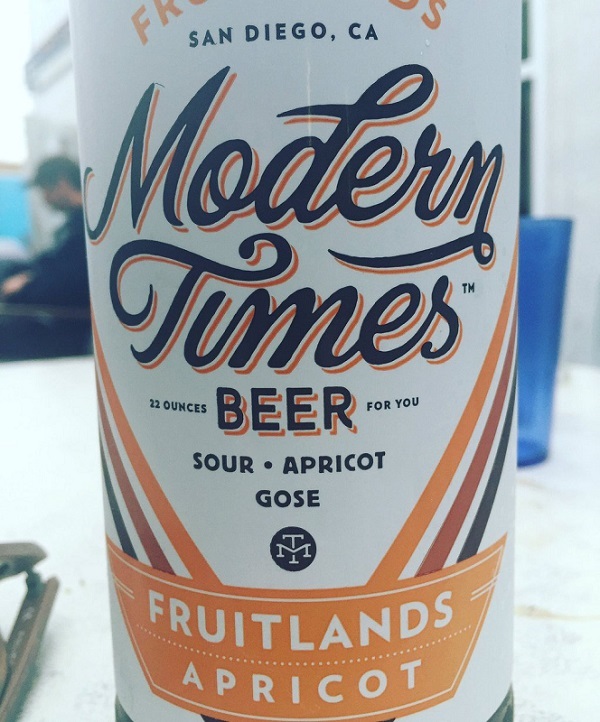 Another spot worth visiting is the Modern Times taproom in Point Loma, also known as the ‘Lomaland Fermentorium’. Offering 16 rotating taps of everything from their yearly seasonal brew to one-off experimental concoctions, the brewery itself was founded in 2013 by former Stone Brewing employee, Jacob McKean. True to its name, Modern Times has uniquely modern facilities, in contrast to most other west-coast brewing companies. The brewery offer tours twice weekly and if you happen to be visiting around March-May, be sure to sample some of their Fruitlands Apricot sour. Our next stop was Ocean Beach, a seaside town that made its way onto our itinerary via the numerous recommendations of our friends and acquaintances who weighed in with advice prior to our trip. The epitome of a sleepy surfer town, we found ourselves walking by chatty old men in rocking chairs, spending the day enjoying the sun from their stoops. With their clientele in mind, Pizza Port caters to post-surf hunger pangs with mammoth-sized pizzas and craft beer brewed on-site. We continued our conversations with strangers on the street in the pub, where we were sat on long, communal benches among surfers still salty from the waves and friendly staff offering free birthday beers, which I was happy to avail of. 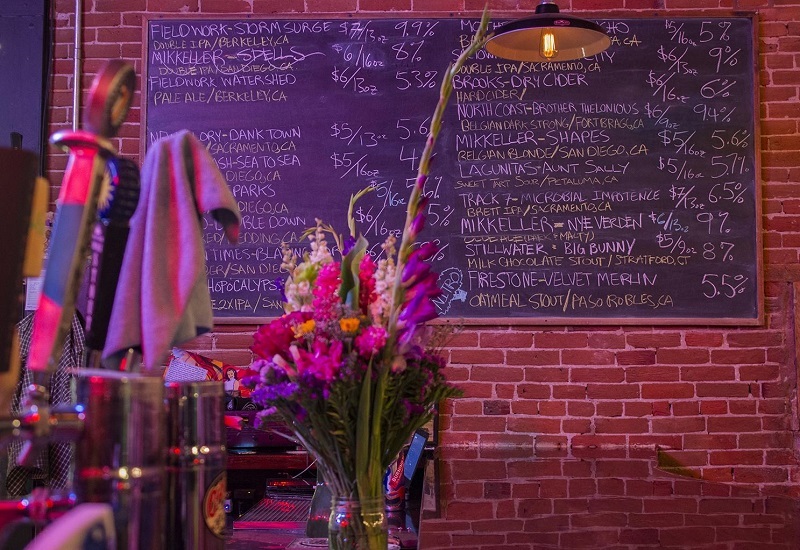 Not exclusive to Ocean Beach, Pizza Port has five other locations throughout California and should not be overlooked as simply a Pizza shop who brew some beer on the side, as they have a great range and their beers are worthy enough to be sought after all across the world. Only recently I spotted BierCab Barcelona (possibly my favourite bar of all time) sharing picture of their latest delivery of Pizza Port’s finest. I had embarked on the Brews Cruise with a bucket list of beers to taste: most notably Pliney the Elder, only available in the States, and a Ballast Point Sculpin as a close second. Thus, it felt like fate when, upon entering The Joint – a pan-Asian style sushi bar – the waitress recommended that we start off with a couple of Sculpins. 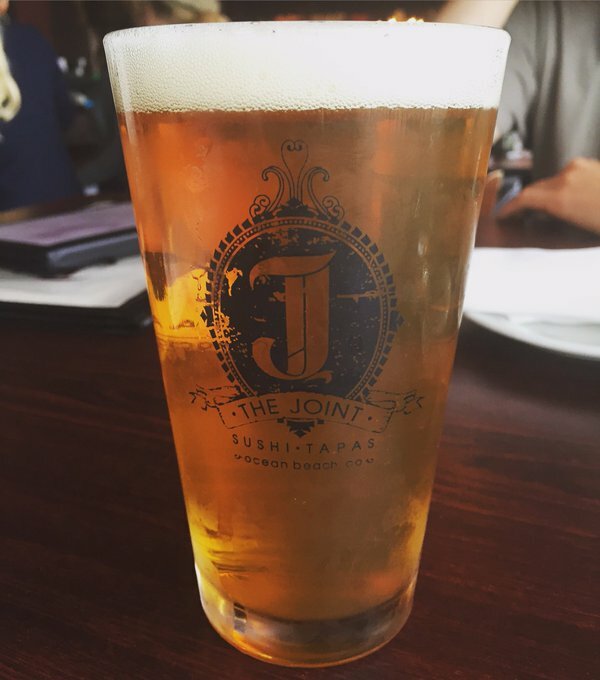 As it happened, Tuesday nights at the Joint are $2.50 Sculpin night and we soon found ourselves chasing rounds of them with tapas dishes of sushi, calamari and, peculiarly, caribou hotdogs. 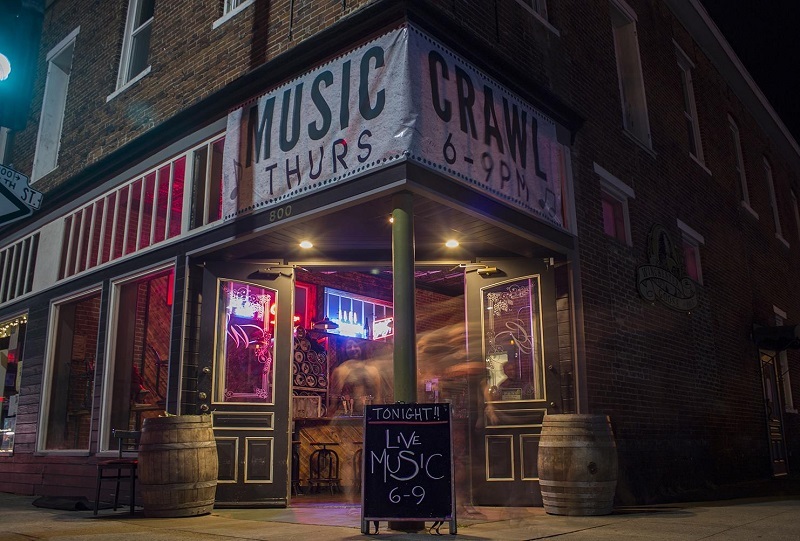 A bustling venue, The Joint also hosts $3 local beer nights on Wednesdays, offering an affordable and intriguing dining and drinking experience. Los Angeles invokes imagery of bright lights, celebrities-sightings and Hollywood. After our long drive up the coast, however, we were instantly put off by the thoughts of all the traffic and congestion and decided to forgo the fame and film and take a detour to Long Beach. We found our reprieve from the traffic in the Congregation Ale House, a pub warm in atmosphere and simple in style. Reminiscent of an old church with all of the stained glass windows and none of the pretention, the bar was decorated with a graveyard of old tap handles suspended from the ceiling. Though we didn’t order any food from their pub-grub menu, we drank west-coast ales with citrus flavours of tangerine and grapefruit while pondering the inspiration behind the upcoming guest beer, Psycho Kiwi Girlfriend. 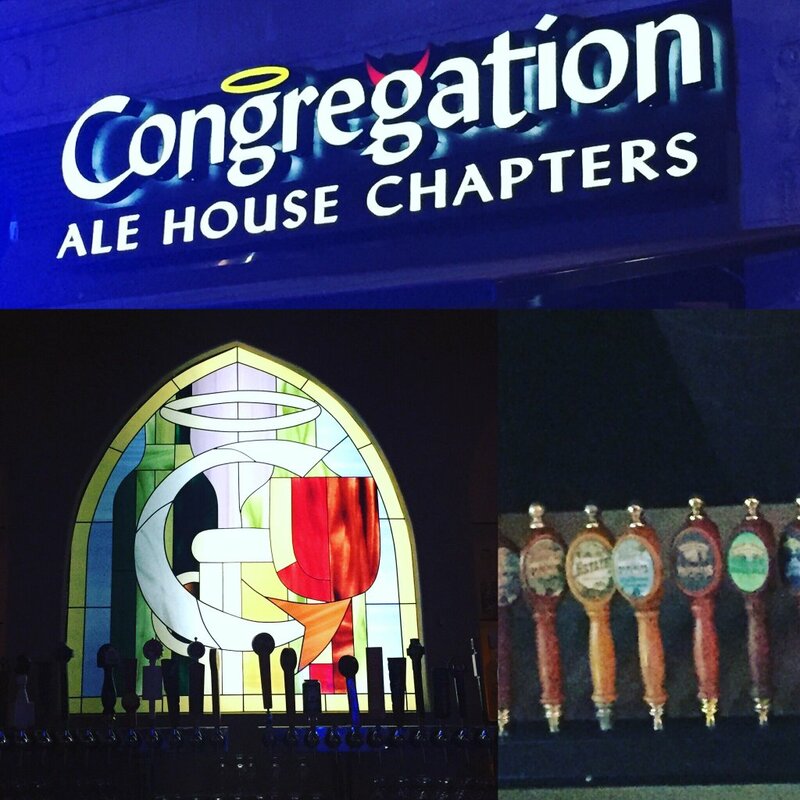 Congregation Ale House marks one of many under-the-radar bars we enjoyed on our trip. 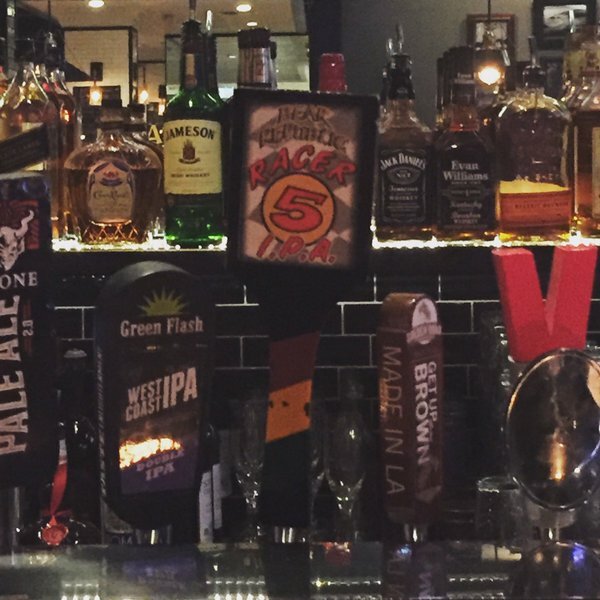 Though if you’re looking for craft beer bars with a more renowned menu in the Long Beach area, Beachwood BBQ & Brewing just around the corner comes highly recommended. The home of Sierra Nevada’s original brewery, Chico is arguably the holy grail of craft brewing, as far as Mark and I were concerned. 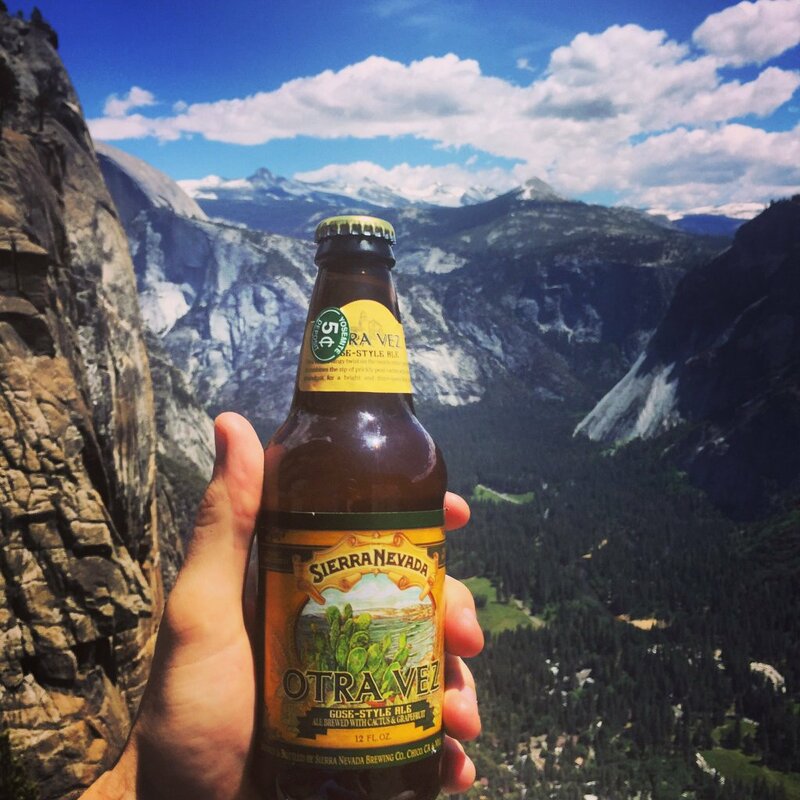 As Sierra Nevada, our ‘baptismal beer,’ was the catalyst for our enduring interest in craft beer and thus, this very trip, we considered a stop in Chico the pinnacle of our voyage. With its large tanks, solar-powered car park and energy-efficient design, we spotted the Sierra Nevada Brewery as we drove into the city. Offering tours between 11:00 am and 4:00 pm and self-guided tours after hours, we began our visit with a tour of the brewery concluding in the taproom and restaurant. A lively bar with a wood fire oven turning out soft pretzels to thirsty patrons with an interest in beer, Mark and I managed to snag two stools positioned before an array of Sierra Nevada beers we’d never seen before, only available in the States. One such beer, `Six Rights`, was by far the stand out, and quite possibly the most delicious beer of the entire trip. After a few rounds we ordered Mark his first American-style pretzel accompanied by a range of Sierra Nevada mustards – the perfect pairing to the selection of beers and atmosphere. Over our novel snacks and nostalgic beers, we felt that we had finally made it to where we were meant to reunite after nearly two years apart. On the way home from Sierra Nevada, with intentions of slipping right into bed, the buzz of the bar across the road from the motel caught our attention. We decide to take one final stab at California nightlife and head into a room humming with twenty-somethings and a couple of meandering dogs. 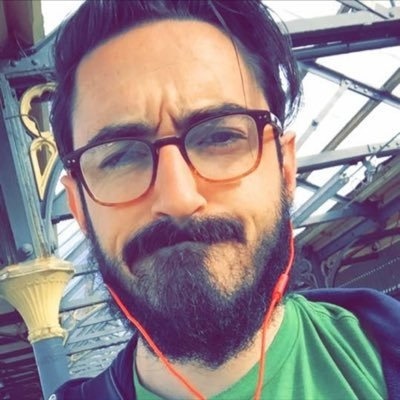 The only thing I like more than pubs is dogs in pubs, so, while I took to making their acquaintance, Mark had a look at the beer menu scrawled across a black chalkboard. He called over to me for my order and that’s when I first noticed the lone bottle of Pliney on the bar. Alas, the bartender told Mark, these were the private stash of the staff, not for customer consumption. After some banter and explanation of our trip’s purpose, we were finally set up with a taste of the elusive ale and enjoyed great craic with the bartenders for the rest of the night. Bars like this one demonstrate the vastness and variety of the United States both in the mainstream and those diamonds-in-the rough you stumble upon only by chance. Not only did the Winchester Goose offer us a taste of the Pliney the Elder but it was the perfect way to end the Californian leg of our Brews Cruise. Having previously devoted every ounce of his spare time to music, Tony is more commonly found these days in a kitchen than on a stage. With experience in writing on festivals and shows around the country he has recently turned his pen to more culinary exposés. With a particular penchant for craft beer he can often be spotted travelling from one bar to another in search of the latest brew to hit the market.